The film details Dr. Tommy Williams' lifetime journey with James Meredith, his friend and confidant of 60 years, reports drtommywilliams.net. Gary, IN - October 29, 2018 /MarketersMedia/ — T&M Marketing, in partnership with World of Media Productions, is pleased to announce the release of a new historical documentary. Entitled “My James Meredith Journey,” the film chronicles Dr. Tommy Williams’ lifetime journey of friendship with James H. Meredith. Mr. Meredith is a recent University of Mississippi Alumni Hall of Fame inductee credited with integrating the campus in 1962. In June of 1962, a United States Court of Appeals ordered the University of Mississippi to admit James Meredith, a black man seeking an education at the institution. Because of the social and political climate in that day and age, it would take numerous attempts that year before the then 29-year-old Air Force veteran and Mississippi native would officially become the first black student at Ole Miss. However, on August 18th, 1963, Mr. Meredith’s steadfast campaign succeeded as he became the first person of color to graduate from the institution, earning a degree in political science. “Dr. Williams is a good friend of Mr. James Meredith and has walked alongside this true hero for more than 60 years. Through violent confrontations and federal marshal escorts, their friendship never wavered. and Dr. Williams never thought twice about sticking by his side when times were tough,” said Brian A. Record, a representative of Dr. Tommy Williams. 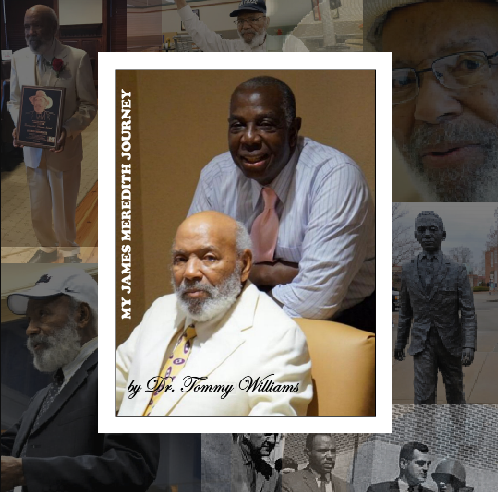 Dr. Tommy Williams decided to release “My James Meredith Journey” after attending the revealing of a statue creating in Mr. Meredith’s honor at the University of Mississippi. Along with releasing the historical documentary film, Dr. Williams is also on the threshold of launching his speaking tour. Educational institutions can now be one of the first to book Dr. Williams to speak as well as to get a glimpse of this inspiring, educational, and heartfelt documentary. Contact Brian Record at 219-200-9371 or e-mail Dr. Tommy Williams at tomco@culcom.net for more information on available speaking dates as well as digital documentary prices. T&M Marketing is the proud owner of more than fourteen radio stations. Together with movie company World of Media Productions, the company is working on a project to bring the stories of Dr. Tommy Williams and Mr. James Meredith to life.